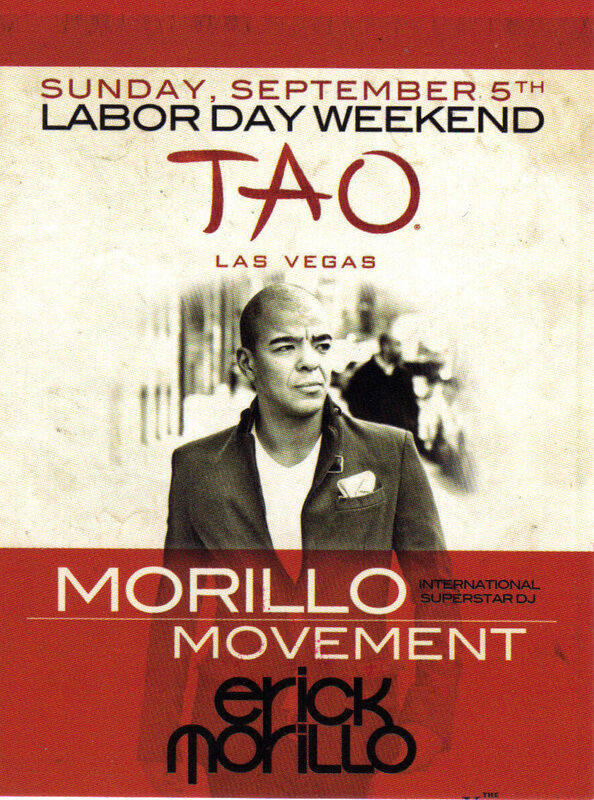 This is an expired VIP card issued by TAO Las Vegas @ The Venetian for ERICK MORILLO called MORILLO MOVEMENT International Superstar DJ held Sunday Sept. 5th for Labor Day Weekend. Erick Morillo is a colombian-American DJ, music producer and record label owner best known for his intl work in House Music, for the label, Strictly Ryhythm and the 1993 hit, "I Like to Move It." Card size: 4" L x 3"W Mint Condition Back contains admission details to TAO. Send email if you need additional details about this card. Buyer is responsible for 1.95 shipping anywhere in the USA in Canada. Do check the store for many more Las Vegas Collectibles daily. Thanks for stopping by!